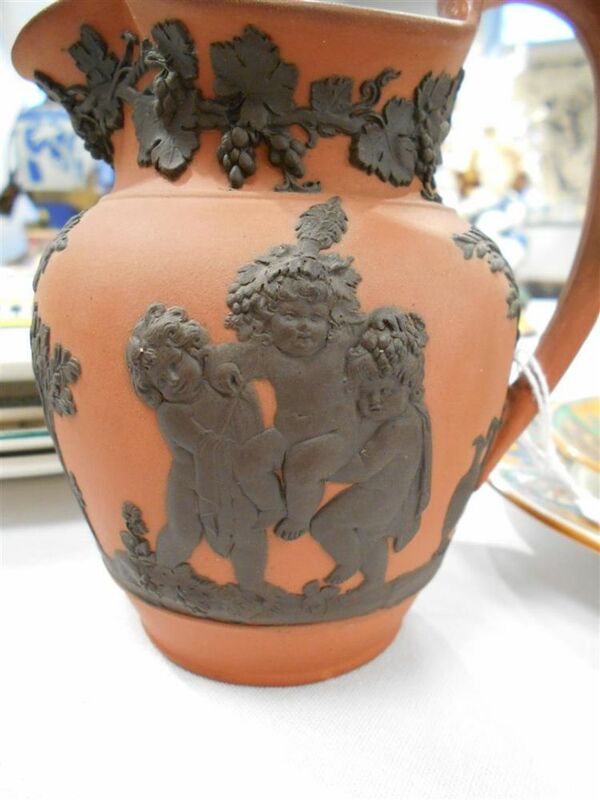 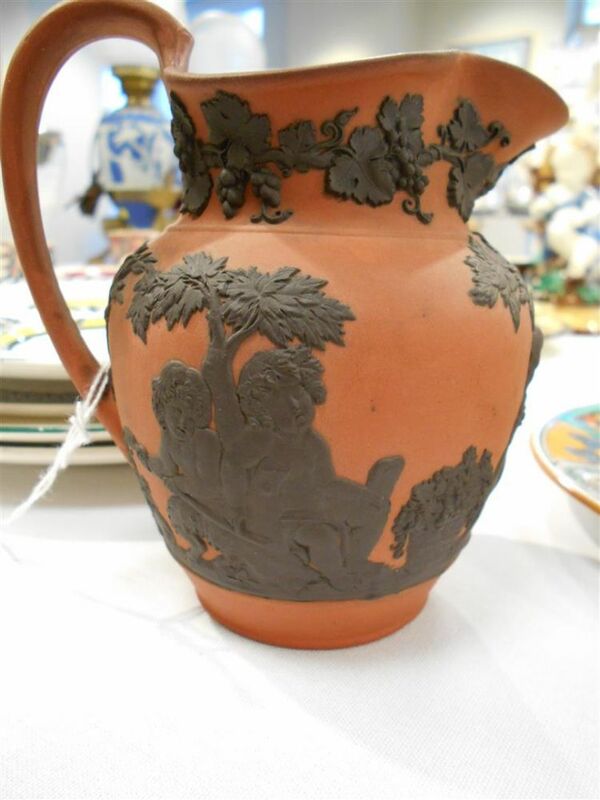 Wedgwood Rosso Antico Club Jug, England, early 19th century, applied black basalt relief depictions of Bacchanalian boys below a fruiting grapevine border, impressed mark, overall ht. 4 1/2 in. 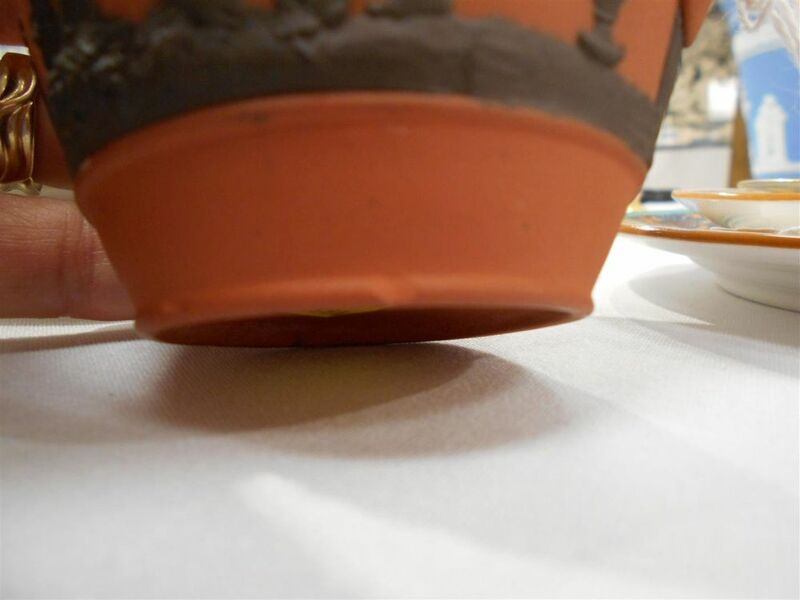 Shallow 1/8" chip to footrim.